Once again, Milka wanted to be close while I did schoolwork. 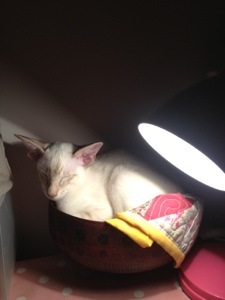 He settled for curling up in a very old papier mâché bowl I inherited from my grandparents. The cat is a buffoon.